Located in Mexico City, within a 16-minute walk of The Angel of Independence, Modern duplex near Ángel de la Independencia Homm offers city views. This apartment is 0.9 miles from United States Embassy and 1.4 miles from Chapultepec Castle. 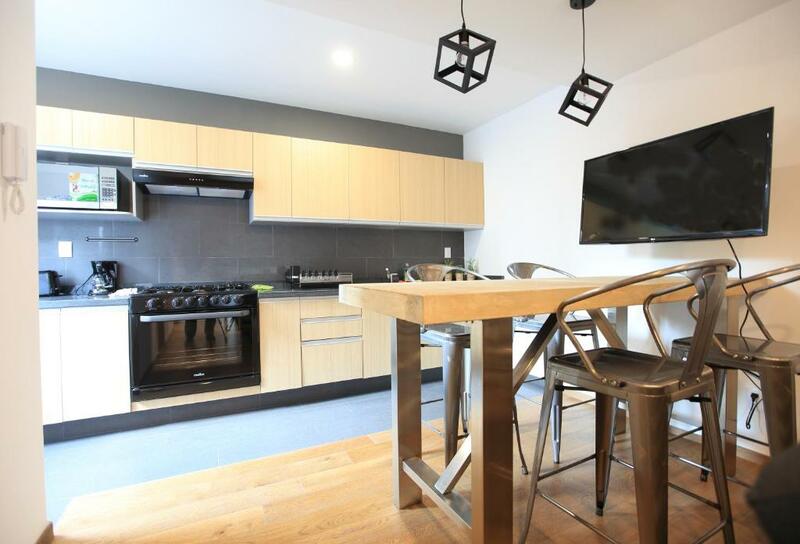 The apartment comes with 1 bedroom, a living room, a dining area and a well-appointed kitchen. A flat-screen TV with cable channels is offered. Chapultepec Forest is 1.5 miles from the apartment, while National Museum of Anthropology is 1.7 miles from the property. The nearest airport is Benito Juarez International Airport, 9 miles from the property. 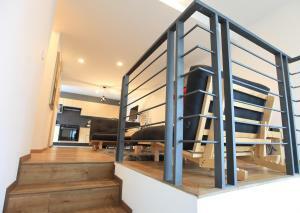 When would you like to stay at Modern duplex near Ángel de la Independencia Homm? Apartamento duplex, suite con baño en la parte inferior y dos futones para acomodar hasta 3 personas. Somos una compañía con 7 años de experiencia en España. Desdé hace 2 años estamos en México con el compomiso de brindar alojamiento de la más alta calidad en servicios. Se encuentra en el corazón del distrito financiero de la CDMX. A una cuadra del Paseo de la Reforma y del icónico Ángel de la Independencia. House Rules Modern duplex near Ángel de la Independencia Homm takes special requests – add in the next step! A USD100 damage deposit is required 14 days before arrival. This deposit will be fully refunded 14 days after check-out, as long as there isn't any damage to the property. Modern duplex near Ángel de la Independencia Homm accepts these cards and reserves the right to temporarily hold an amount prior to arrival. Please inform Modern duplex near Ángel de la Independencia Homm of your expected arrival time in advance. You can use the Special Requests box when booking, or contact the property directly using the contact details in your confirmation. A damage deposit of USD 100 is required. The host charges this 14 days before arrival. This will be collected by credit card. You should be reimbursed within 14 days of check-out. Your deposit will be refunded in full by credit card, subject to an inspection of the property. We need at least 5 reviews before we can calculate a review score. If you book and review your stay, you can help Modern duplex near Ángel de la Independencia Homm meet this goal. Quiet but very central located apartment in Zona Rosa. We enjoyed the stay and the comfy bed.